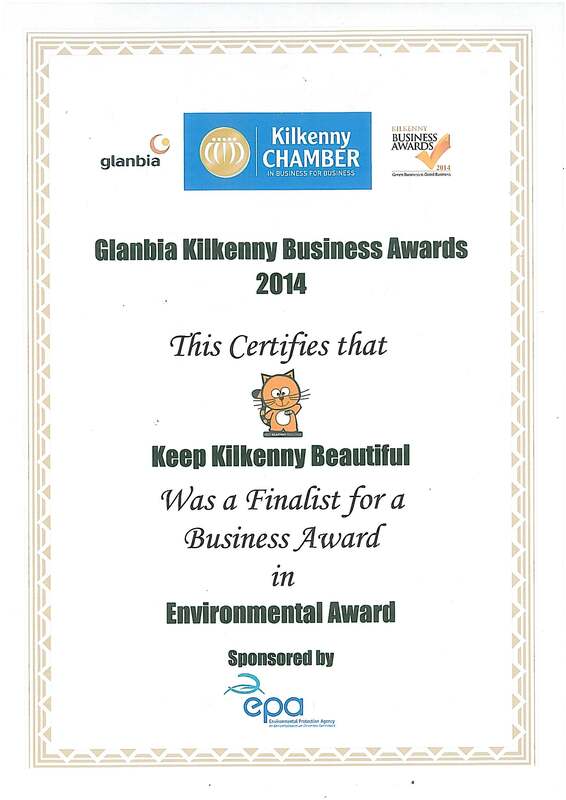 Keep Kilkenny Beautiful has received an Environmental finalist award 2014 from Kilkenny Chamber. This is in recognition of the work undertaken in Kilkenny City to achieve ” National award as Ireland’s Tidiest town 2014″. Ireland premier Environmental competition had over 800 entries in 2014. 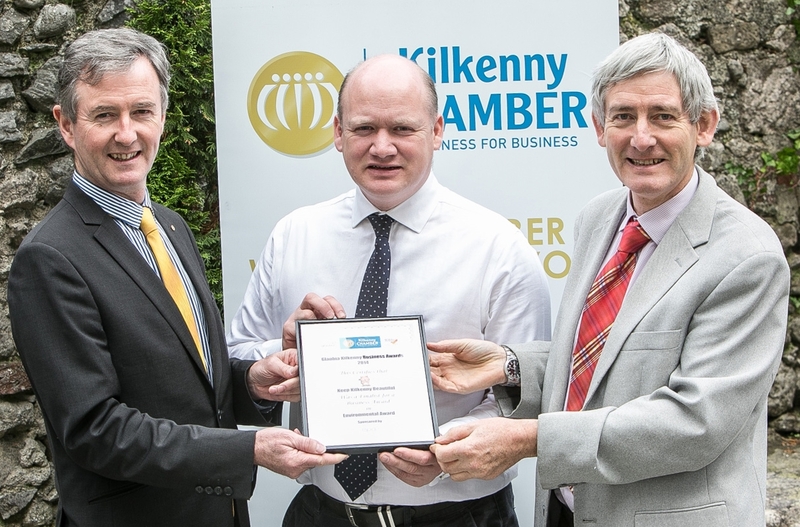 Picture John Hurley (Chamber CEO) David Fitzgerald (KKB Chairman) & Peter Bluett (KKB vice Chairman) receiving the Environmental finalist award 2014 certificate on behalf of the KKB. 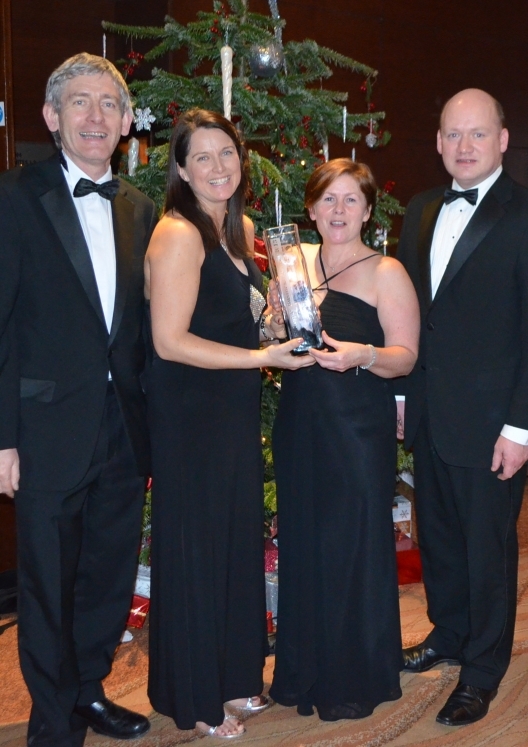 The Keep Kilkenny Beautiful Committee received the top Environmental award at the 2013 Kilkenny Business awards 2013. David Fitzgerald KKB Chairman received the award on behalf of the KKB. Kilkenny Chamber is blooming great! The City in Bloom project has taken off. For more information see www.kilkennychamber.ie Peter Bluett, Keep Kilkenny Beautiful PRO congratulated Kilkenny Chamber for their initiative which has already produced colourful results throughout the city. Kilkenny Chamber are partners with the KKB in our City’s 2010 Tidy Towns Competition programme.